It is our sole aim to equip children with the essential life skills, emotional intelligence and a sound value system that will hold them in good stead in the future. 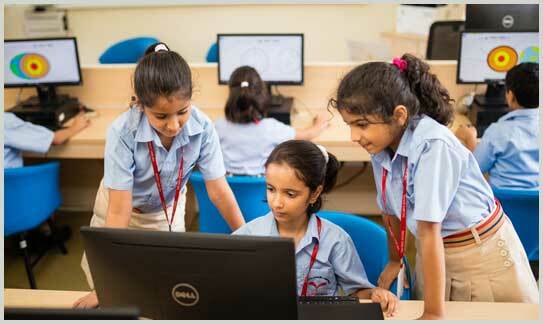 Being one of the best schools in Pune following the CBSE curriculum, we use innovative teaching-learning methods. Compared to the practices followed by the best CBSE schools in Pune, we take a step further in cultivating a thirst for knowledge and higher education in every student with our teaching methodology. At The HDFC School, we align the goals of students, parents and teachers in order to achieve higher standards in learning and achieve the best results. We ensure that every student is given the opportunity to build leadership qualities and develop vital social skills. All this ensures that, apart from being the one of the top schools in Pune, The HDFC School is also a dynamic and caring community that steers the individual progress of each student, including your child! We follow a non-formal, yet structured approach to learning with a focus on family, home, culture and language. Here, children are encouraged to explore the environment around them, through projects that integrate Academics, Art, Craft, Technology, Music and Dance. Why choose The HDFC School, Pune? 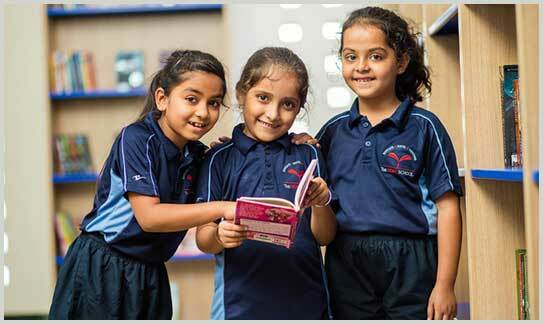 Differing from some of the best CBSE schools in Magarpatta Pune, we at The HDFC School provide your child a strong academic base from which they can grow into bright students and future-ready citizens of the world. However, we believe there’s a lot more to a school than just academics. That’s why we act as a friend, philosopher and guide in your child’s learning journey; creating a stable, supportive environment in which they can develop, grow and flourish. We provide learning opportunities that mould your child in a holistic manner, create the perfect environment for inquisitive, intellectual, innovative young minds and instill the joy of learning through cooperation and collaboration. The spaces at The HDFC School in Pune have been designed keeping in mind the future learning needs of children and it’s our focus to instill in all our students a liberal attitude, a strong belief in ethics and respect for all life in order to develop into responsible young global citizens. The positive involvement of parents plays a major role for the holistic development of a child. 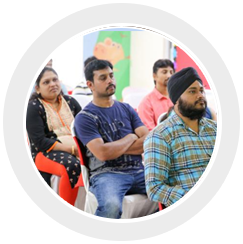 Parent Portal is a platform for the school to update Parents on the latest developments in the education journey of their child. “Thank you, for all that you do for our students. We love how you treat each child as a child of God, worthy of respect and dignity. Each child having different learning styles and abilities, which you understand. Thank you for helping my child grow academically, spiritually and socially. It is wonderful to see my child come home and talk happily about how she spent her day in the school in a great manner”. What are the facilities available at The HDFC School, Pune? Spanning over 3 acres, The HDFC School, Pune is thoughtfully and aesthetically designed to provide meaningful and engaging interactions with the environment. There are a variety of child-centric spaces, especially designed to provide rich, stimulating environment for personalized as well as collaborative learning. The classrooms are spacious and naturally lit. The HDFC School, Pune has well-equipped Science and Math Labs. These labs have been configured with state-of-the-art educational technology. The School Library reflects the creative efforts to look beyond the concept of a traditional library in order to create new and serene spaces for our young readers. The School has a a professionally managed and well-equipped Infirmary with experienced medical personnel. Why should I choose The HDFC School over the schools in Magarpatta? At The HDFC School, Magarpatta, Pune, they follow an experiential, inquisitive, yet structured approach to learning with focus on family, culture and language. The school focuses on developing analytical minds striking a balance between the intelligence and emotional quotients of children. Here, children are encouraged to explore the environment around them, through projects that best integrate art, craft, technology, music and dance. Besides, our activities are designed to develop each child's Fine Motor Skills and encourage Sensory Development. These are the differentiating factors vis-vis other CBSE schools around Magarpatta. Do you accept applicants from other boards?